Our firm was honored to assist the University of South Carolina in developing and launching its first-ever giving day, Give 4 Garnet, in April 2018. 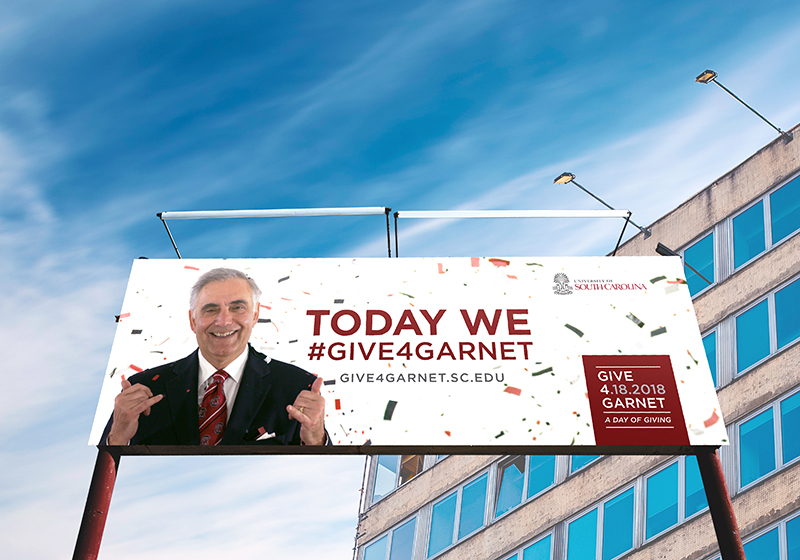 Give 4 Garnet is the one day each year when the University of South Carolina comes together to celebrate the significant impact that Carolina has on our community, our state and the world. 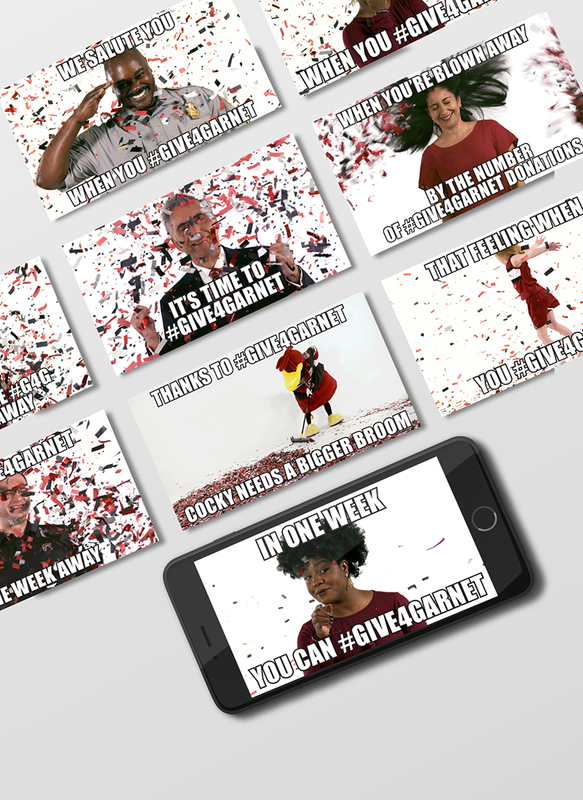 All alumni, parents, friends, students, faculty and staff will unite on one day, in one voice, to make an investment in the future of Carolina.